In March, 2017 the State Research Institute of Civil Aviation FGUP of the Ministry of Transport of Russia issued to Aerofuels-Blagoveshchensk LLC the Certificate of Conformity for air services jet fuel supplies in the international airport of Blagoveshchensk (registration № АТО 130217.020). Today the certification is held within Voluntary Certification System of the civil aviation facilities and covers acceptance, storage, preparation to delivery, delivery for refueling and aircrafts refueling with jet fuel. The results of the inspection confirmed conformance of Aerofuels-Blagoveshchensk refueling complex to all requirements for arrangement of the whole complex of services for aircrafts refueling with jet kero and anti-icing fluid. Aerofuels-Blagoveshchensk LLC is a member of TZK network belonging to Aerofuels Group of Companies, and it possesses their own up-to-date refueling facilities and qualified staff. TZK guarantees their customers a high-quality certified jet kero refueling having passed the required laboratory inspections and tests, and usage of the equipment meeting the Russian and international standards. In February 2017 Aerofuels Ulyanovsk (Aerofuels Group of Companies subsidiary company) received a new Certificate of Conformity for the aviation fuel supply of air services in the international airport of Kol’tsovo (Yekaterinburg) to confirm that the company satisfies the requirements for arrangement of a full set of services in aircrafts refueling with jet kero and anti-icing fluid. At the airport of Kol'tsovo TZK Aerofuels Ulyanovsk has been refueling flights of the Russian and international airlines since January 2016. TZK uses its own aviation fuel for into-plane refueling, as well as up-to-date certified refuelers, and offers to their customer profitable price conditions and a fast, high quality service compliant with all Russian and international norms and requirements. 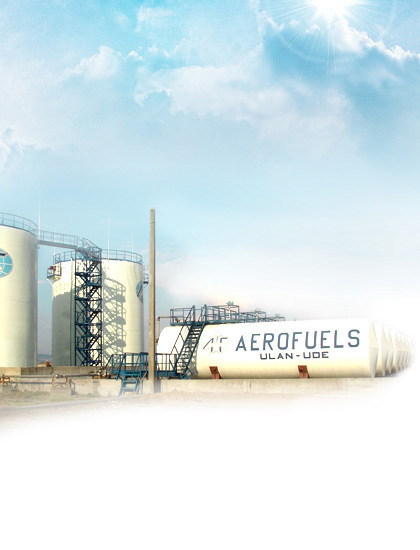 Aerofuels Ulyanovsk is a member of Aerofuels group refueling complexes network and for over ten years has been successfully operating in the airport of Ulyanovsk-Vostochny to guarantee a high quality level of refueling of the Russian and international air carriers. TZK is equipped with the up-to-date refueling equipment, has its own fuel-oil depot located on the territory of the airport, and a railway siding making it possible to deliver oil products regularly and uninterruptedly. The Group of Companies Aerofuels pays special attention to high standards of air craft refueling quality and for many years has been fully engaged in equipping the Russian airports with the up-to-date refueling equipment. The company developed and successfully implements a program of modern aircraft refuelers and fuel trucks delivery. Orders for new refuelers are placed for the Russian manufacturers which products have shown good results in different performance and climatic environment at the Russian airports. All refuelers are completed with reliable components of the domestic and import manufacture, have a number of advantageous characteristics and save much time of the airplane servicing due to a fast into-plane refueling. All those peculiarities reduce significantly an aircraft ground time at the airport and improve its turn-round, which enables the airline to get a more commercial effect from the airplane employment. In January 2017 the Group of Companies Aerofuels delivered a new aircraft refueler produced by Aviatekhnologiya company and mounted on the Volvo truck of a latest design (15+15 tons) to the airport of Sokol (Magadan) to enable an airplane refueling in compliance with IATA requirements and the requirements of Airbus, Boing manufacturers, as well as the Russian aviation industry. In accordance with the equipment delivery plan in 2017 one more similar refueler will be delivered to the airport for operation. Aircraft refueling with modern refueling equipment in the airport of Sokol will enable Aerofuels Magadan to rise the level and quality of the Russian and international airlines servicing and to attract new customers interested in refueling airplanes in Magadan being today the most convenient point for long-haul flights operation from Europe and Asia to the USA. Since January 11th, 2017, AEROFUELS Nizhny Novgorod refueling company has been refueling regular charter flights of Aeroflot airlines at the airport of Strigino (Nizhny Novgorod). Aeroflot is the main air carrier operating via Nizhny Novgorod air hub. An alternative refueling complex (TZK) belonging to Aerofuels Group of Companies was built in the airport of Strigino in 2014, and since 2015 it has been supplying the Russian and international airlines flights with fuel. Aerofuels Group of Companies invested over 700 million rubles in TZK installation and in creation and development of infrastructure in the airport. TZK is designed for 10900 m3, it obtains a complex of administrative buildings and a refueling station, its own railroad sidetrack and a loading rack, and has all required licenses and certificate of conformity for refueling activity. Successful operation of the up-to-date and well equipped alternative refueling complex at the airport makes it possible for air carriers to be refueled with a high quality certified jet kero at most profitable prices and to optimize air tickets cost attracting new passengers and, as a result, increasing a passenger flow in the airport. One more of the Group of companies Aerofuels subsidiaries – Aerofuels Kamchatka LLC succeeded in passing inspection of the refueling equipment operability, aviation fuel supply and refueling procedures in Yelizovo airport, which was held by IATA fuel quality pool (IFQP) in November, 2016. Based on the results of IFQP Aerofuels Kamchatka refueling complex received the highest status of fuel operations safety – Green, confirming compliance of TZK with the highest requirements of the airlines included in IFQP. Aerofuels Kamchatka TZK is a member of the network consisting of over twenty TZK owned by the Group of companies Aerofuels, and obtains their own up-to-date refueling facilities and the skilled personnel. TZK has all required state permits and certificates for the aviation fuel supply and guarantees their customers refueling with a high-quality jet kero having passed the required laboratory tests and analysis by the equipment satisfying all standards. The company also manages Aerofuels oil-loading fleet, not only providing TZK fuel to Kamchatka and the island of Kunashir of the Sakhalin region, but also supplying light oil products to the distant northern areas. At the present time Aerofuels group of companies obtains the vastest and greatest network of their own TZK in Russia. On November 09th, a private airplane (Embraer Lineage 1000) of Jackie Chan, the famous actor, made a refueling landing in the airport of Magadan (Sokol). The airplane proceeded to Anchorage from Moscow where the previous days the Chinese cinema festival had been opened. And again the airport was used as a most convenient refueling stop during long-distance Trans-Pacific flights from Europe and Asia to the USA. Thus, in September this year a private airplane of Stephen Carry, one of the best NBA players, made a refueling landing in Sokol airport when flying from China. Jackie Chan’s airplane was refueled by Aerofuels Magadan refueling company, the Group of companies Aerofuels subsidiary. Aerofuels Magadan obtains their own up-to-date refueling facilities, the quality laboratory and skilled personnel, has all required state permits and certificates for the aviation fuel supply. Like in any other airports, where there is Aerofuels TZK network, the customers are guaranteed to have refueling with the certified and high-quality jet kero meeting the Russian and international standards. In the first fortnight of October, 2016, IATA held an inspection of fuel quality (IFQP) in order to evaluate the fuel equipment operability status and procedures of aviation fuels supply and refueling in the airport Khomutovo (Yuzhno-Sakhalinsk). Based on the results of IFQP Aerofuels Kamchatka-Yuzhno-Sakhalinsk refueling complex (TZK) received the highest status of fuel operations safety - Green. In their report IATA specialists noted specifically that the refueling and storage facilities having passed inspection made it possible to ensure a proper level of safety with regard to TZK compliance with the air lines regulations included in IFQP and requiring a strict supervision over the refueling complexes. Since August 2014, Aerofuels Kamchatka-Yuzhno-Sakhalinsk TZK has started refueling civil aviation regular flights in the airport. Today TZK obtains an up-to-date fuel-oil depot, its own quality laboratory, as well as new refuelers and qualified personnel. The company renders services meeting the highest Russian and international aviation requirements, and has all required certificates and licenses for refueling activity. At the present time Aerofuels Kamchatka-Yuzhno-Sakhalinsk TZK refuels charter flights of the Russian and international air lines alongside Aeroflot flights. In September 2016 TZK Aerofuels started refueling the Russian airlines flights in the airport of Cheboksary. Such airlines as Elara, Utair, the Kazan airline, Izhavia, Nordavia and others were among the first customers in the airport, and on the 04th of October Pskovavia also joined Aerofuels customers. To make into-plane refueling Aerofuels company uses its own jet fuel to guarantee air carriers competitive prices and fast high-quality service in compliance with all Russian and international standards and requirements. Cheboksary international airport is of the federal significance. The airport operates special purpose flights (rotation based) to the towns of the northern regions, as well as the regular flights. In the nearest future the domestic and international service is expected to increase. Shell&Aerofuels CJSC Board of Directors decided to re-elect Vladimir Spiridonov as their Chairman to another one year term. Shell&Aerofuels CJSC is a joint venture of Aerofuels Group and ShellAviation – a world leader in the field of aviation fuel supply. The company was founded in June 2001 and at present it has been successfully operating in the largest airports of Russia – Domodedovo and Pulkovo, the company customers being more than 50 international air carriers. Shell&Aerofuels CJSC has all required certificates issued by the Federal Air Transport Agency for operation in the Russian Federation airports. It is regularly inspected and confirms a high quality of the offered services and the aircrafts refueling absolute conformance to the international and Russian standards. Refueling is provided by the company own refuellers fleet meeting the highest requirements. Fuel supplied to the aircrafts tanks is thoroughly inspected in the aviation fuel quality control laboratories. Participation in charity events is a long standing tradition of the Group of Companies Aerofuels. Thus, on July 25th in order to commemorate Sokol airport anniversary the airport and IrAero and SiLa airlines arranged an air tour for young citizens of Magadan. One of the sponsors of four free flights was Aerofuels Magadan refueling company which supplied the air carriers with aviation fuel free of charge. Since July 16th, 2016 TZK-Irkutsk, the Group of Companies Aerofuels subsidiary, has started refueling regular flights of Lufthansa Cargo airline, one of the world leaders of freight air service, in Yemelyanovo airport (Krasnoyarsk). Currently there are three operators offering aviation fuels supply in the airport, but the airline management decided to cooperate just with Aerofuels in supplying the flights with fuel as in June this year Aerofuels has put into operation a new alternative TZK in Yemelyanovo airport. A number of factors were decisively important for selection of the refueler in the airport, in particular: TZK equipping with the modern facilities satisfying the highest international standards and requirements, availability of the refueler’s own storage area, the certified refueling vehicles and high-qualified personnel, which altogether guarantees the customers a high-quality service in the aircraft into-plane fueling. Lufthansa Cargo and Aerofuels successful long-term cooperation in refueling in Yemelyanovo airport, undoubtedly, will create favorable conditions for development of the freight air service of the federal and international importance, which will cause potential air carriers attraction to the airport and, finally, - for the whole region development. Since early 2016 the jet kero cost for into-plane fueling in Kol’tsovo airport (Yekaterinburg) for the Russian airlines has been averagely reduced to 15%. That was the result of the alternative fuel operator, the Group of Companies Aerofuels subsidiary, starting to operate in the airport to guarantee the customers a high-quality service, compliant with the Russian and international requirements, by using its own fuel and modern certified refuelers. The company managed to achieve prices reduction in spite of the jet kero wholesale prices growth to 3-5% in the Volga and Urals regions. Today it is quite clear that the airlines cost-saving in refueling in Kol’tsovo airport effected positively on flight tickets prices, which is an essential condition for the passenger flow growth in the airport. The airport, in its turn, has obtained an additional opportunity to attract new air carriers and to strengthen its position as a huge regional and federal transport hub. Within implementation of the program of refueling complexes development in the Russian airports the Group of Companies (GC) Aerofuels will put into operation a new laboratory of fuel quality control in Izhevsk airport since September 01st, 2016. The refueling complex (TZK) of Aerofuels network has been operating in Izhevsk airport since December 2014. The into-plane fueling is offered by the Izhevsk branch of Aerofuels Perm having its own modern refueling facilities and highly qualified personnel. TZK has a full certificate of aviation fuel supply conformance issued by the Federal Air Transport Agency. Presently Aerofuels possesses a network of 14 laboratories located in the airports all over the country (from Pskov to Petropavlovsk-Kamchatsky) where a full range of works on TS-1 and RT fuel and special fluids quality assurance is carried out. All laboratories satisfy the modern international industry standards, undergo all required inspections regularly and have the state certificates. Only for the last year and a half the Group of Companies Aerofuels investments in expansion of the network of the quality control laboratories equipped with the most modern equipment have made over 50 million rubles. “Aerofuels pays much attention to flights safety promotion. We consider it obligatory to assure aviation fuels high quality in all our TZK on the territory of the Russian Federation, and the key condition for this task implementation is, undoubtedly, the aviation fuel quality inspection, that is why launching of new laboratories and re-equipping of the current ones remains one of the main investment tendencies for us”, - Vladimir Spiridonov, Aerofuels Group General Director, comments on completion of works on the new laboratory launching. The international airport Yemelyanovo (Krasnoyarsk) signed a cooperation agreement with Aerofuels Group represented by TZK-Irkutsk, the network company. The refueler has become the third big operator supplying the aircraft with aviation fuel in the airport of Krasnoyarsk, - the airport informs. A monthly capacity of the new refueling complex in Krasnoyarsk is up to 2 thousand tons of fuel. At present the airport partners in the field of aviation fuel supply are also RN-Aero and TZK- Yenisei. The international airport Yemelyanovo informs about launching of a new alternative refueling complex of Aerofuels company in Krasnoyarsk. Now three big operators supply aircraft in the airport of Krasnoyarsk with jet kero. The international airport Yemelyanovo signed a cooperation agreement with a big Russian fuel company Aerofuels Group represented by TZK-Irkutsk, the network company. The refueler has already started its operation in Yemelyanovo airport and has become the third company in the Krasnoyarsk aviation fuel market. The new Krasnoyarsk refueling complex capacity is up to 2000 t of fuel a month. The new complex is situated 3 km from Yemelyanovo airport – on the territory of Cheremshanka airport. The jet kero and fuels and lubricants quality of the new TZK satisfies the highest standards and complies with the norms of safety and ecological requirements.